Green Aventurine Rough Dimensions: 6.5" x 4.2" x 3.1"
This lapidary grade specimen of natural color green aventurine quartz rough has beautiful medium gray-green color due to microscopic grains of green mica (mica variety: Fuchsite) within the quartzite. It's strong green color is visible both when wet or when dry, although the color becomes deeper when polished or when wet. It also is ideal for use in fountains, aquariums, waterfalls and other landscaping projects due to the strong green color of this material when wet. It looks beautiful when used for these purposes together with our natural color blue aventurine quartz. Green Aventurine Rough Dimensions: 6.3" x 6" x 4.3"
This natural color specimen of green aventurine quartz rough has beautiful medium gray-green color due to microscopic grains of green mica (mica variety: Fuchsite) within the quartzite. There is a small amount of white quartz along one edge. 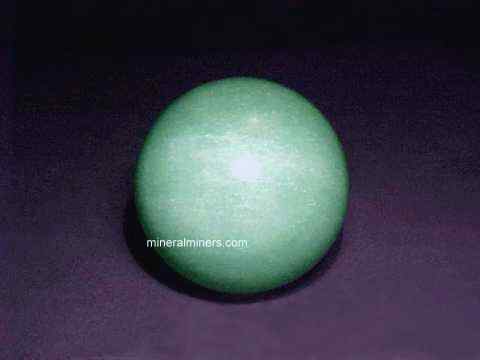 This natural green aventurine rough specimen is lapidary grade and will yield a 3 inch diameter sphere. It's strong green color is visible both when wet or when dry, although the color becomes deeper when polished or when wet. It also is ideal for use in fountains, aquariums, waterfalls and other landscaping projects due to the strong green color of this material when wet. It looks beautiful when used for these purposes together with our natural color blue aventurine quartz. Green Aventurine Rough Dimensions: 11.5" x 9.5" x 6"
This natural color green aventurine quartz rough is lapidary grade and would yield two 3.5 inch diameter spheres! It has fine gray-green color due to microscopic grains of green mica (mica variety: Fuchsite) within the quartzite. It's strong green color is visible both when wet or when dry, although the color becomes deeper when polished or when wet. It is also ideal as a decorator specimen for use in a garden area, fountain, aquarium, waterfall or other landscaping project due to the strong green color of this specimen when wet. 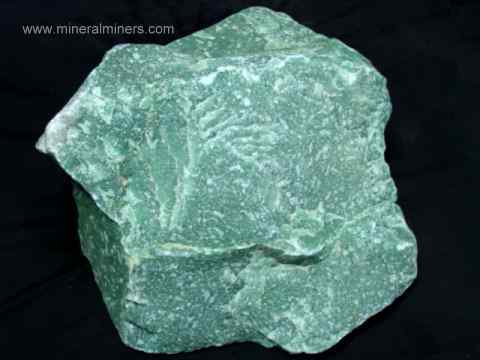 See an end view photo of this natural color green aventurine rough specimen. Green Aventurine Rough Dimensions: 16" x 12.5" x 10"
This natural color green aventurine quartz rough is lapidary grade and would yield a fine 6.5 inch diameter sphere! 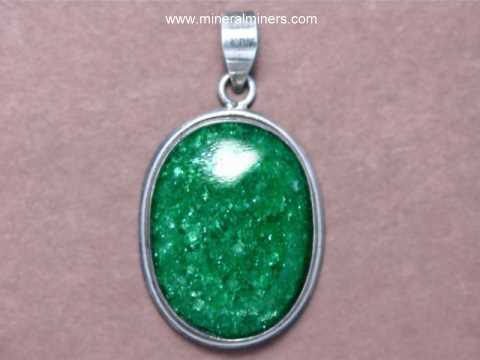 It has medium gray-green color due to microscopic grains of green mica (mica variety: Fuchsite) within the quartzite. It's strong green color is visible both when wet or when dry, although the color becomes deeper when polished or when wet. It is also ideal as a decorator specimen for use in a garden area, fountain, aquarium, waterfall or other landscaping project due to the strong green color of this specimen when wet. See an additional view of this natural color green aventurine rough specimen. 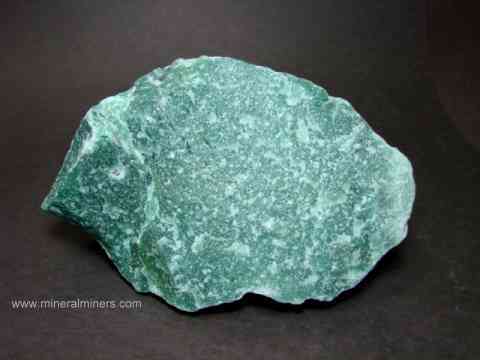 See also a wet view of this large green aventurine rough specimen. Fuchsite Specimen Dimensions: 12" x 9.5" x 3.3"
This superior quality fuchsite mica decorator specimen has natural chromium-rich muscovite mica (variety: Fuchsite) inter-bedded with green aventurine quartz. 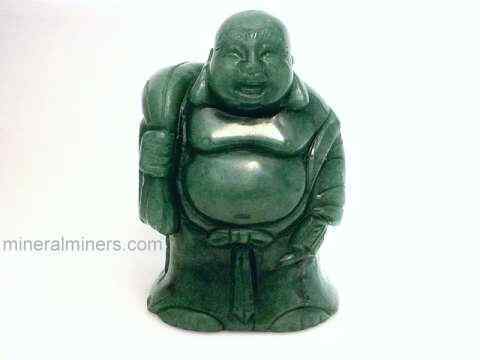 This completely natural fuchsite decorator mineral specimen has not been treated in any way. Fuchsite Specimen Dimensions: 7.3" x 6.3" x 3.5"
This brilliant green decorator specimen of natural chromium-rich muscovite mica (variety: Fuchsite) has well defined micro-folding of thin inter-bedded layers of green fuchsite mica and aventurine quartz. See an end view photo of this natural fuchsite mica specimen with micro-folding. This beautiful decorator specimen of natural fuchsite has not been heated or treated in any way! Fuchsite Specimen Dimensions: 12.8" x 6.5" x 3.5"
This beautiful green decorator specimen of natural chromium-rich muscovite mica (variety: Fuchsite) has inter-bedded green aventurine quartz. This completely natural fuchsite mineral specimen has not been treated in any way. Fuchsite Specimen Dimensions: 15.5" x 12.5" x 5"
This brilliant green decorator specimen of natural chromium-rich muscovite mica (variety: Fuchsite) has inter-bedded green aventurine quartz. See also a back view photo of this large fuchsite decorator mineral specimen. This is a natural decorator mineral specimen of chromium-rich muscovite mica (variety: Fuchsite). This completely natural fuchsite decorator specimen has not been treated in any way. We also have green aventurine quartz rough available in volume, please contact our special requests department for further information. See also our page displaying natural color fuchsite mineral specimens, and our natural color blue aventurine quartz mineral specimens. Our aventurine quartz mineral specimens are all natural color and lapidary grade. They are 100% unheated and untreated - exactly how they formed inside the earth! We have additional inventory of green aventurine quartz rough specimens, collectable mineral spheres & carvings, and green aventurine quartz lapidary rough. 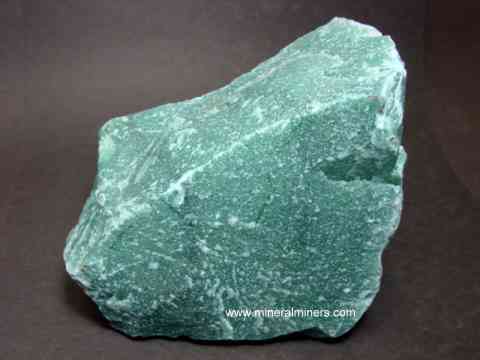 Our green aventurine is actually a quartzite which formed naturally under regional metamorphic conditions. The color is 100% natural, with no treatments of any kind. The natural green color is due to tiny grains of fuchsite mica (chrome muscovite) that crystallized within the quartzite. 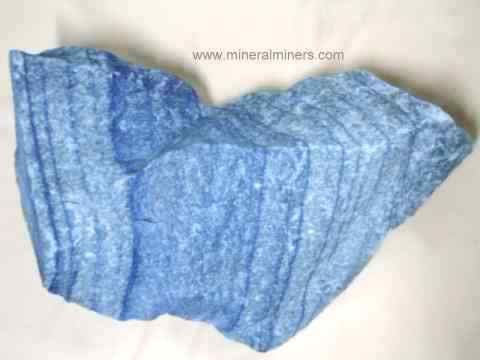 See also our handcrafted blue aventurine rough specimens. We have been mining professionally for gem materials for more than 30 years, and we have a very large variety of natural mineral specimens and lapidary rough available in many different minerals. We also have some spectacular very large pegmatite matrix mineral specimens as well. See our page with links to natural crystals of all mineral varieties! See also our pages with links to all of our polished crystals and our handcrafted mineral gifts. Each one of our green aventurine specimens is completely natural with no treatments of any kind, and they were mined in Brazil. You may have noticed that we have green aventurine specimens in all sizes from just a few inches long to huge pieces weighing hundreds of pounds each! These are all natural green aventurine rough specimens. Here at mineralminers.com, we do not have any heated or treated green aventurine, each green aventurine specimen is 100% natural! We specialize in superior quality natural green aventurine specimens of large size for use in gardens & landscaping as well as for lapidary use. For more information about natural green aventurine and its history, physical properties, chemistry, occurance, and metaphysical uses be sure to see our green aventurine information page. 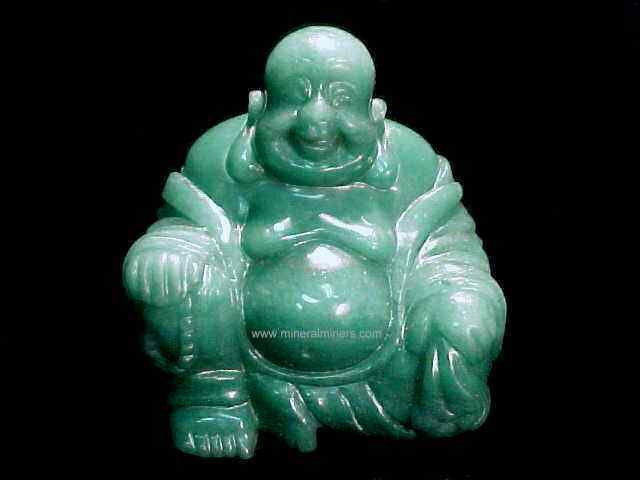 To see more green aventurine photos, just select another green aventurine linked image below. Would you like us to inform you when we add on this page more natural color green aventurine quartz rough specimens? We literally have tons of superior grade natural color green aventurine quartz rough specimens in stock, so be sure to let us know if you have any special requests. Please contact our webmaster or our 'site' geologist with any questions or comments.